SA2 PREVIEW: Meet the Characters! Oh my God! Just when you think Sonic Team can’t do any better, they spill more details on the biggest game of the year – Sonic Adventure 2! Get ready to wipe your chins, people, ‘cos you’re gonna be drooling for a long time! Continue reading SA2 PREVIEW: Meet the Characters! This is a series of personal blogs written by Dreadknux during the formative years of The Sonic Stadium. It chronicles significant events in the website’s early life. It’s time for the opening of the second ever Sonic Amateur Games Expo. I felt a bit silly for missing the show six months ago, so I thought I’d give you full coverage this time around. And, to tell the truth, I’m glad. SAGE 2 was a lot more successful than its predecessor – although a technical hitch did occur during this year’s show, by and large it was a barnstorming success. Feedback Forum: Give SEGA a Break! Sega has had its ups and downs – more downs than ups, but that was due to its consoles, not the games created for them. Sega tried to make the most out of every console they made (including the Sega Saturn, which was a mongoose to program for). So I believe that Sega is pretty good when it comes to making games. Just look in your local arcade for Christ’s sake! How many Sega cabinets do you see? Most of the games are made by them! Continue reading Feedback Forum: Give SEGA a Break! Greed had a part to play in this one. For the ‘new’ look, I needed a server that was bigger than Angelfire’s 50MB. This was where I started to get greedy, and set off to look for servers that had unlimited web space, but without the annoying ad banners. Pop Ups would be OK though. I found many solutions, but they would not offer space for MP3 files which cheesed me off big time. Heard a rumour that the Dreamcast is dead? 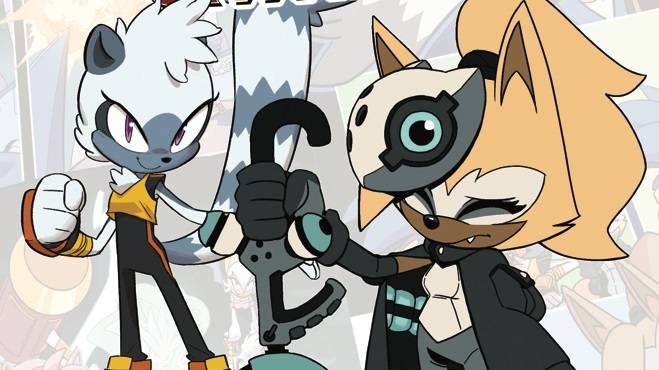 At first glance this may all seem like some sort of self-destructive pattern on Sega’s part , and that may make you lose your faith in the company as a fan. But, as this massive news special will soon explain, the odds are all in the favour of the Dreamcasters. First off, let’s address the rumours and stories and whatnot (that sounds SO English. Wait, I AM English). Continue reading OPINION: Dreamcast Dead? When Sonic 3 and Sonic & Knuckles are locked together, they produce one of the greatest Sonic the Hedgehog games ever made. This page largely focuses on the changes between playing the games together compared to playing them individually.